Below is a brief guide with pictures and instructions on changing the oil for a Suzuki V-Strom DL650. My Wee-strom is a 2005 so thats what the pictures are from, but I dont think it has changed much over the years (though I think it did change in 2012) so this should be fairly applicable across the board. Now – let the oil changing begin! The cardinal rule is: safety first. It’s important to NOT do this job on the side-stand as if the bike fell on you it would make for a very, very bad day. 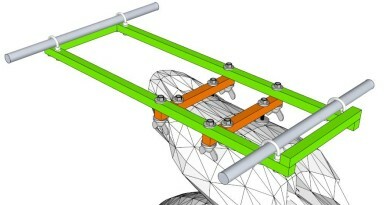 But rather a center-stand or bike lift that stabilizes the bike completely. I am not a motorcycle mechanic by trade. I dont pretend to be one. I found info on the internet about this stuff and followed instructions, just like you. And now that it has been working for me for the a long time I am passing on the info. If it helps, great! If it screws up your bike, i am sorry – but it’s your own fault. 1. Use reasonably priced good oil and good oil filters. I did quite a bit of research on the synthetic vs. regular oil. What I got out of my research was that you either get a motorcycle specific synthetic oil – which is made for the wet clutch – or you get a motorcycle specific regular oil. 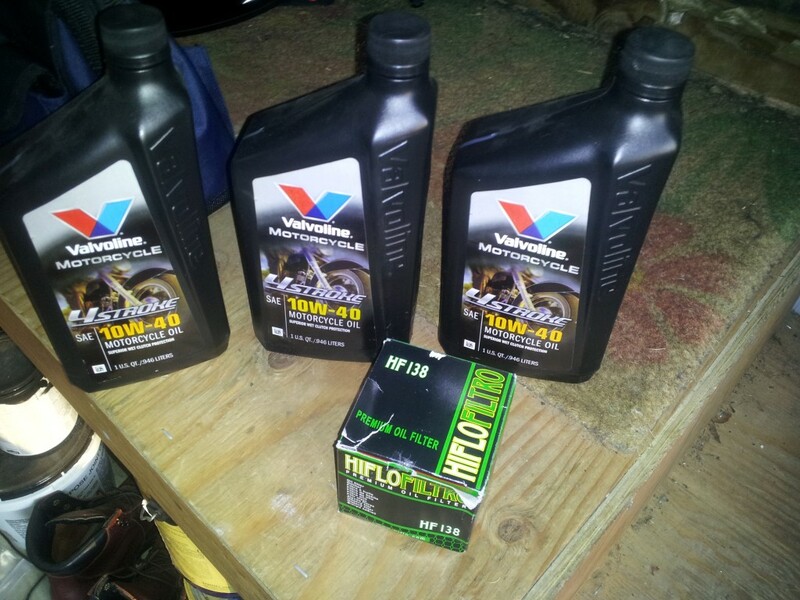 Since my bike had lower mileage (around 12,000 miles) for this oil change I went with Valvoline 10W-40 motorcycle oil. Looked good to me, and the price was right. 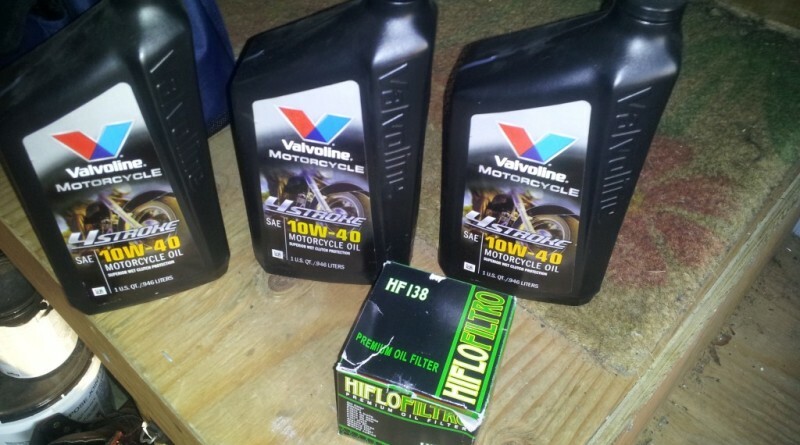 I also went with the HiFlo Oil Filter HF138 which got good reviews on some other sites and fit perfect. and have a scocket set on-hand. 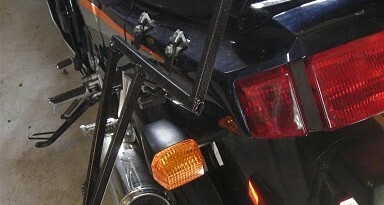 A center stand or center risers to pick the bike up and keep it level. BE SURE to use a bungie or other such method to keep the front brake engaged and the bike from sliding off the center stand!! You’re going to need to pour the oil into something. I purchased a inexpensive oil drip pan at Baxter’s. While Jenner has heard horror stories of the strap style filter remover I have always had good luck with mine, so I continue to use it. Now for the actual work. 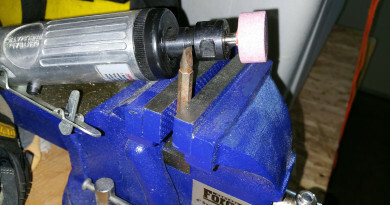 1) Unscrew the oil filter one turn, while the engine is cold, to get it started. No oil will be dripping unless there is a crack in the gasket. Note: this “pre-turn” will make removing the filter later a bit easier. 2) Turn over the engine and let it warm the oil. Let the engine heat up to the first bar then turn the engine off. 3) Put the oil pan under the drain bolt and carefully remove both drain bolt and washer. Be careful as the oil will be a bit warm and the washer may stick to the engine. 4) Wait about 10 minutes for warm oil to drain. 5) After 10 minutes I then remove the oil filter letting the majority of the oil drain from the engine. Note: Some people turn the engine over a couple of turns to get ‘all’ the oil out. Not me, I don’t mind a little bit of old oil with the new oil. The risk/reward of turning over the engine without oil in the engine just never made much sense to me so I don’t do it. 6) Put the drain bolt, with washer, back on. 7) Put a few daps of fresh oil around the new oil fliter gasket to help it seal. Screw on the new oil filter and tighten it pretty tightly. Remember you’ll need to take it off again (About 12-13 ft/lbs). 8) Put oil back into the engine and check to make sure it goes to the ‘TOP’ of the window. 9) Cover the oil fill port. 10) Start the engine and look for leaks – fix as necessary run about 3-5 minutes. 11) Add a bit more oil if the engine oil doesn’t return to the center mark. Note: the new filter will absorb some oil. 11) Confirm oil level is correct before taking off center stand. Thats it! You’re Done! Pretty easy really – especially compared to the BMW Oil Change. Thanks again to Jenner and the Deus Ex Machina website for providing such wonderful initial instructions.